Today, I treated myself and went to a local antiques/crafts mall. Lucky me, the vendors were having a sale with varying amounts off. 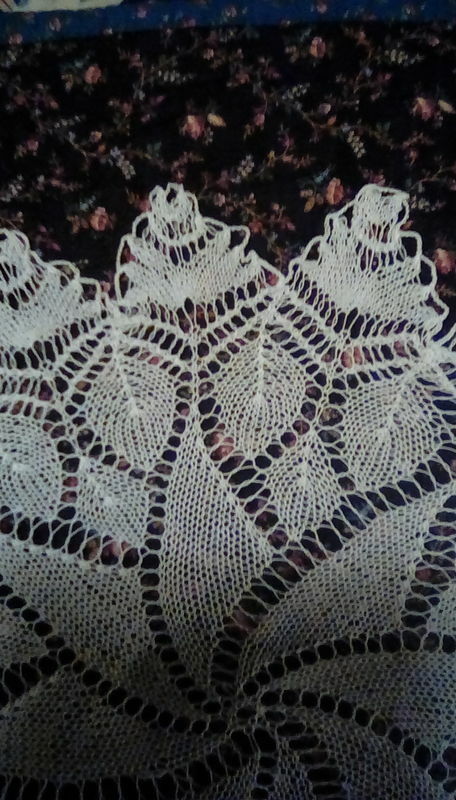 I saw a gorgeous example of a knitted lace doily, and wanted you all to see this gorgeous piece of workmanship. 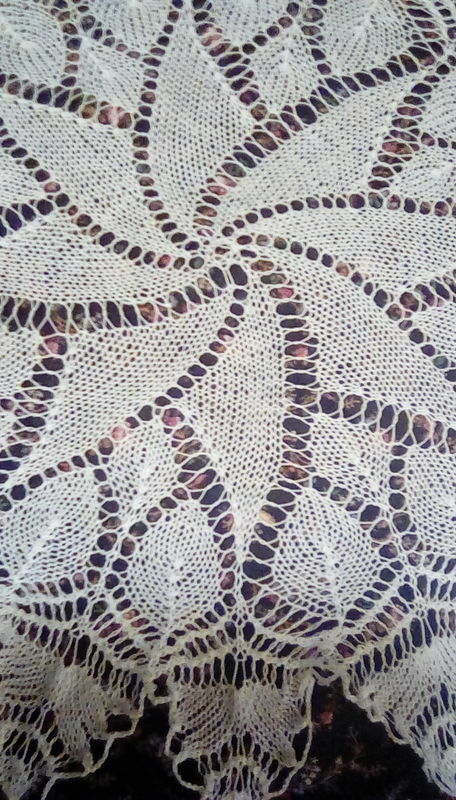 It is approximately a foot across, and the yarn is mite near as tiny as sewing thread. Below are pictures of this beautiful piece of handcrafted artwork. 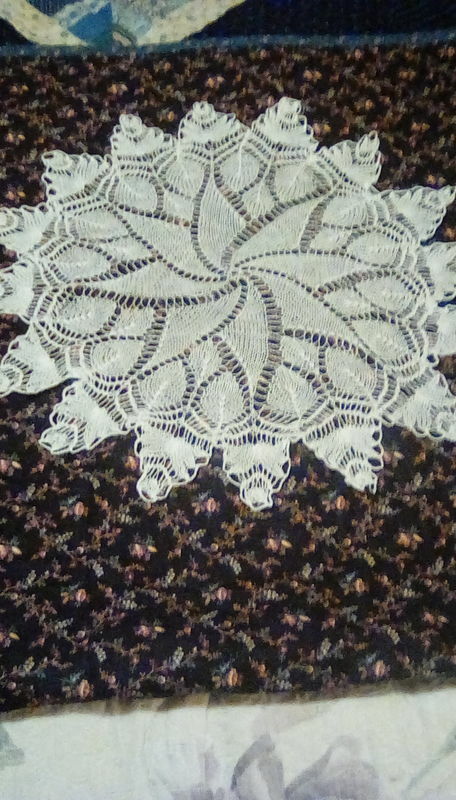 I intend upon matting nd framing the doily. Whoever spent a lot of time making this would be very pleased to know how much you appreciate it. Yes, I agree it is a work of art. I have a tablecloth that my MIL worked during WWII. Thank goodness she used linen yarn/thread so it will last a very long time. Sometimes I use it as a tablecloth and sometimes I use it as a bed covering (under pretty colored sheets). I am very happy to have it and it will be passed along.